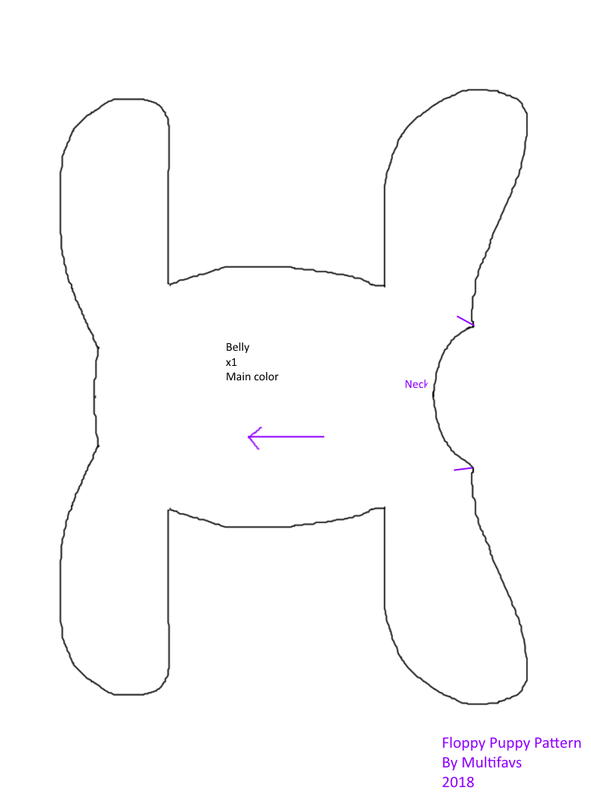 August 29, 2018 Update: I made a few more edits to the pattern and updated the tutorial so that the puppies will be easier to make and will have some more options. Hey guys! 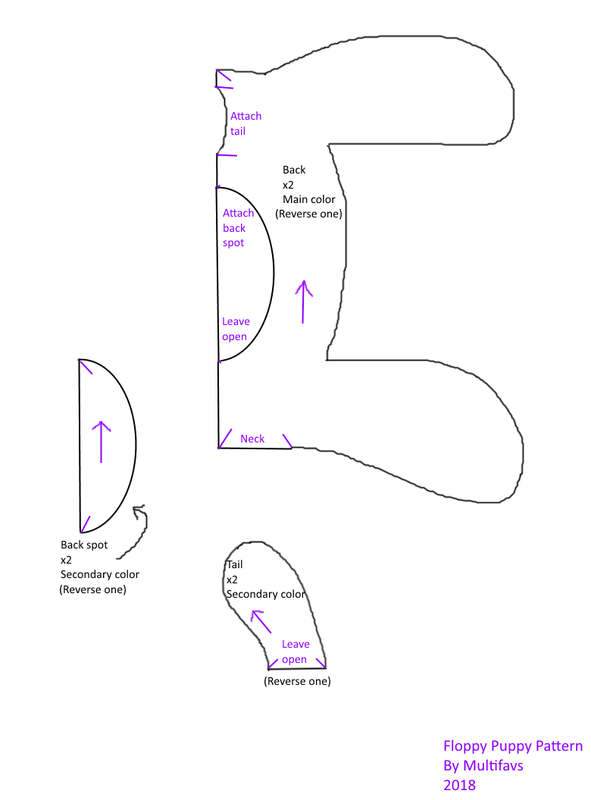 I finally decided to try making my first ever shared plushie pattern, and this is the result of that attempt. I call this the "Floppy Puppy"! It's a free pattern, so if you sew plushies at all you can make your own Floppy Puppies right away! 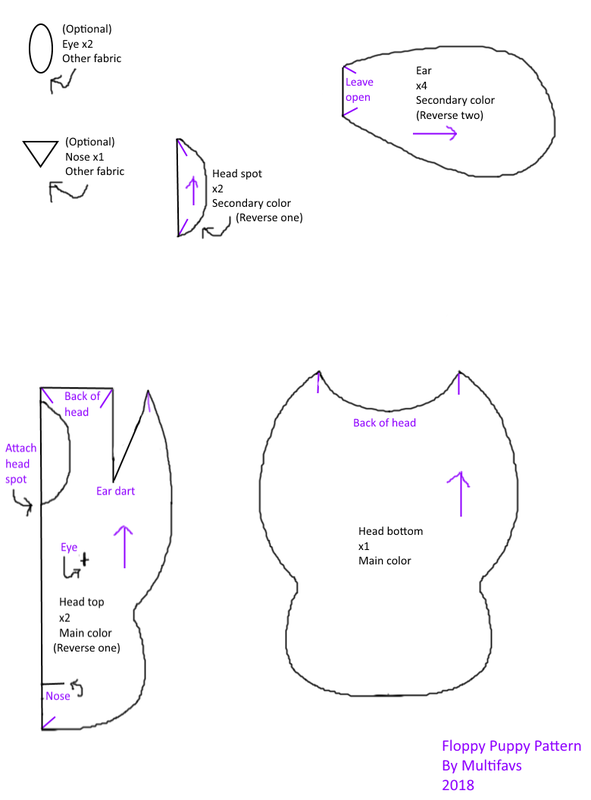 The details and tutorial on how to make one can be found in the attached PDF file! 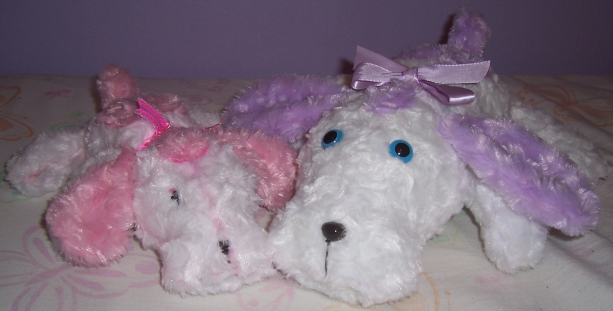 And here are the Floppy Puppies I made! Both are made from rose minky, machine-sewn, have hand-embroidered mouths, and are stuffed with polyester fiber and plastic pellets. 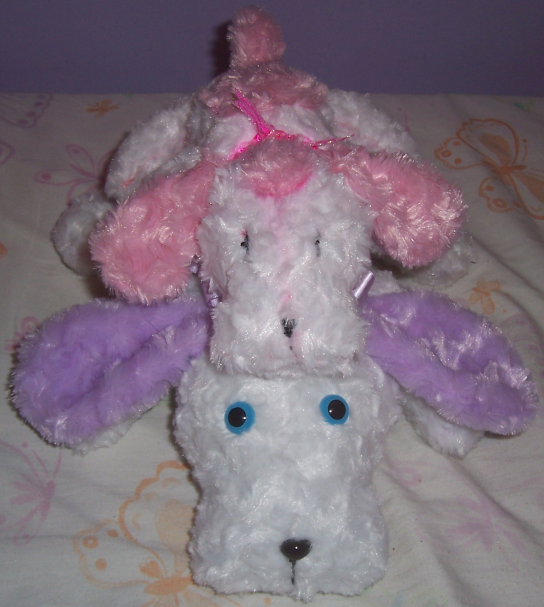 Rosey, The pink-spotted one, was made at original size and is about 8 in. 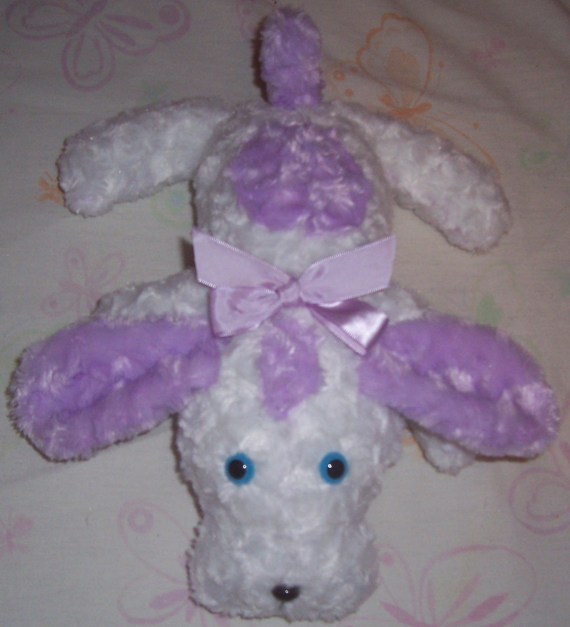 (20 cm) long; her eyes and nose are hand-embroidered and the bow was tied from ribbon (I can't tie a bow but I did my best). Thistle, the lavender-spotted one was made at 150% size and is about 12 in. 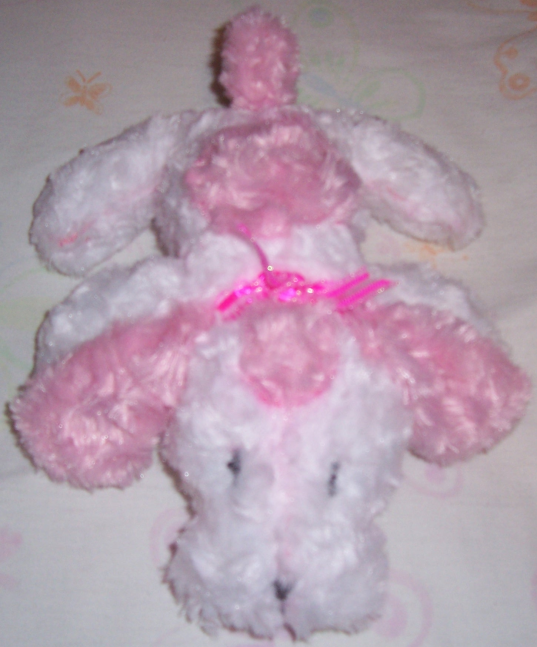 (30 1/2 cm) long; she has plastic eyes, a plastic nose, and a pre-tied bow hand-sewn on. The pattern was improved a little for Thistle. Christian meaning for this work: I love sharing my work with others and helping them out! God shares His work with us all the time in His creations and the good things He gives us every day. Christ also wants us to help one another. Mollie1, JCFantasy23, Somber and 3 others like this. This is awesome! Thank you so much for sharing!!! ^-^ I definitely need to try it out! I think it's incredible that you made your own pattern. It turned out very well.